I just don’t know how they do it. How they manage to surpass themselves every time. 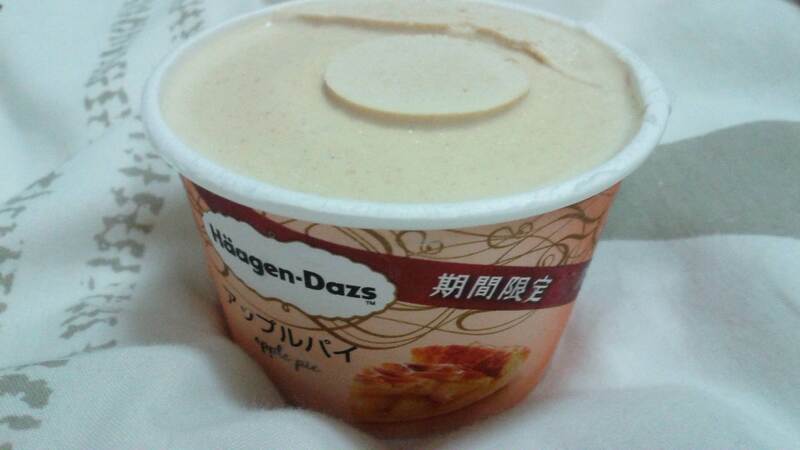 They regularly switch up their flavours and add limited edition flavours, and their latest release is Apple Pie. I was a bit dubious about this one. It could either be out of this world good or just plain disappointing. I needn’t have worried – the explosion of a mouthgasm I had after my first spoonful left my taste buds wanting more and more. 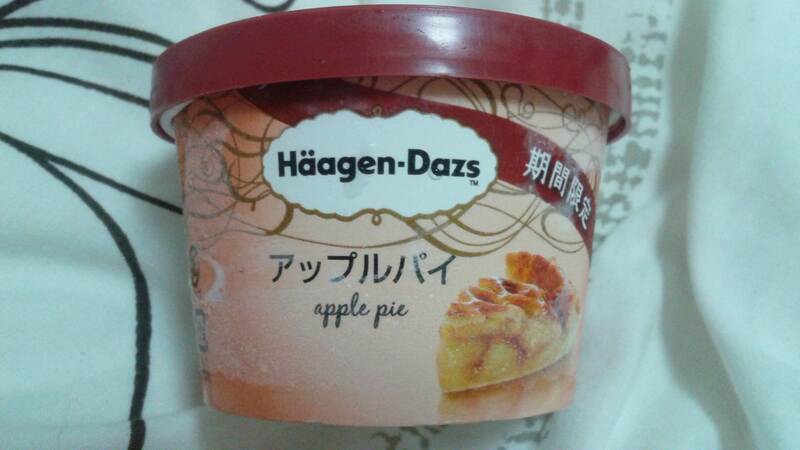 It tasted exactly like an apple pie. I have no idea how they did it, but I was eating an apple pie. The creamy apple and cinnamon flavour melding together in perfect harmony, with a chunk of pie crust here and here, mmmm luscious! I’m drooling on my keyboard just thinking about it. Without further ado, I shall spam you with pics! Oh my! Having my own droolfest over here😋that looks and sounds amazing!!! I’ll have to look for this when I’m in Japan next week! 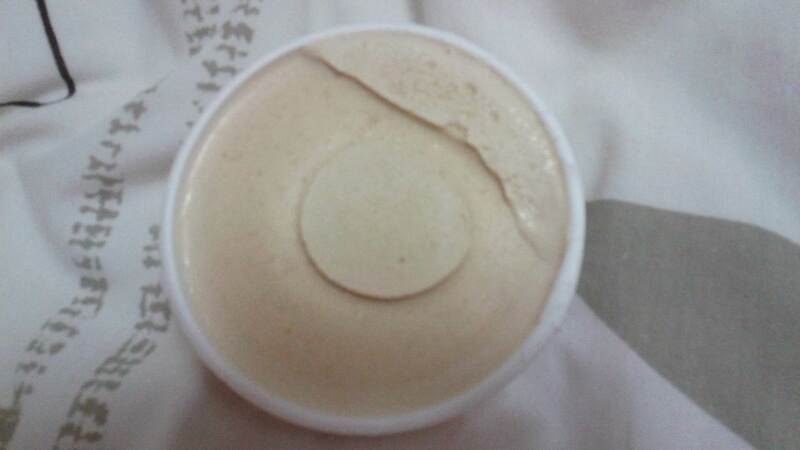 My boyfriend is a huge lover of the Ben and Jerry’s apple pie ice cream but they pretty much discontinued it. 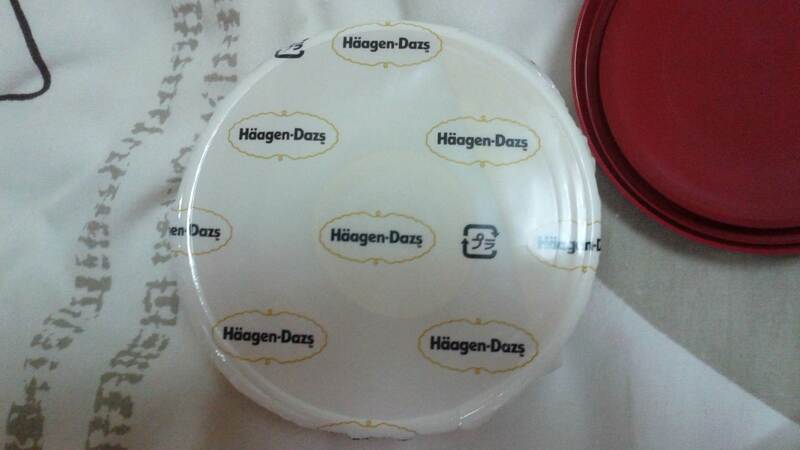 I’m sure he’ll love hte Haagen-Dazs version. Oh you must! It’s in all the convenience stores as far as I can see, so you won’t have any trouble getting our hands on some. Lol, I didn’t even notice the typo. It’s night time over here but I just had a huge dinner and am in the depths of a food coma and can’t process much of anything! 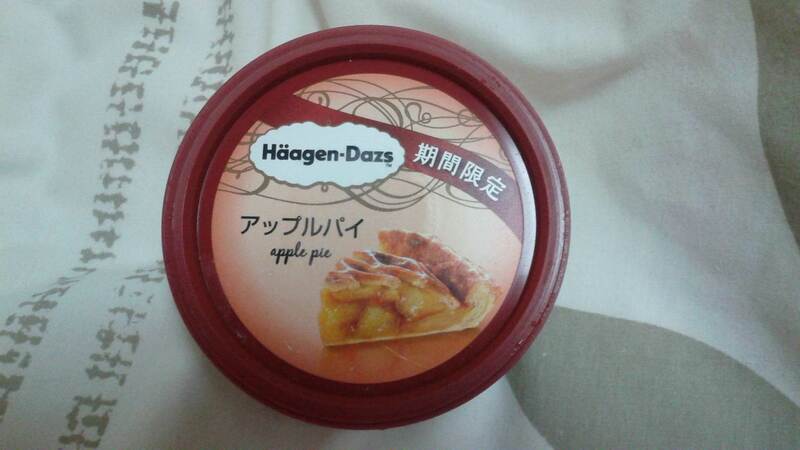 Thanks for replying, hopefully they’ll have that apple pie ice cream at the combinis in Japan. 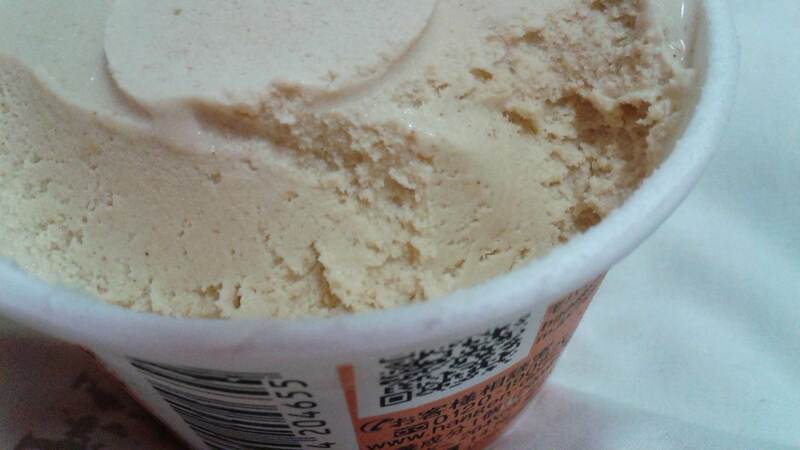 I have a tube of Salted caramel in the freezer… wonder how long it will last in there?!! They also have a lot of fun Kit-Kat flavors which I haven’t tried yet. Yum! Omg, I love your writing! Grin-inducing, such a pleasure! Hehe, take a stand girl, refuse the vanilla ice cream! 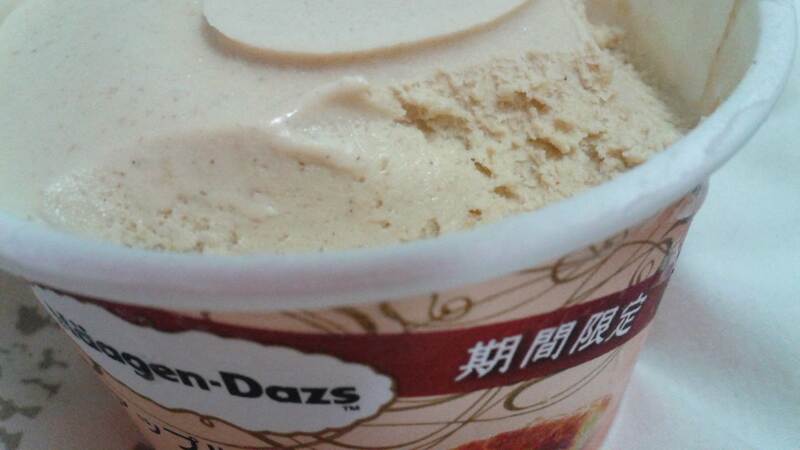 Oh, I would die and go to heaven with green tea Hagen-Dazs… Or KitKat… Oh wow. Plus, I love the thorough photographing. Showing us only the packaging would be cruel and disappointing. Take care!